Elderly patients with HER2-positive breast cancer remain a clinical unmet need, according to Akihiko Shimomura, MD, PhD, making the development of clinical trials for this population an important aspect of breast cancer research. Currently, systemic chemotherapy with an anti-HER2 agent is the standard of care for patients with HER2-positive advanced breast cancer, regardless of age. In various countries, the regimen of trastuzumab (Herceptin), pertuzumab (Perjeta), and docetaxel (HPD) is used. For those who are older with several comorbidities, this regimen can be toxic and have a negative impact on quality of life (QoL). The ongoing, randomized, phase III HERB TEA trial (JCOG1607; UMIN000030783) is comparing HPD to ado-trastuzumab emtansine (T-DM1; Kadcyla) in elderly patients with advanced HER2-positive breast cancer in an effort to find a tolerable treatment for these patients. The primary endpoint of HERB TEA is overall survival. Secondary endpoints include progression-free survival, response rate, adverse events, breast cancer-related death, and deterioration of QoL. Patients eligible for enrollment on this study are those with histologically confirmed HER2-positive breast cancer with metastatic disease. If the patient is between 65 and 74 years old, they must have an ECOG performance status score of 0 to 2. For patients who are between 75 and 79 years old, the ECOG score can be between 0 and 1. Additionally, those enrolled on the trial cannot have received prior anti-HER2 therapy with chemotherapy for the treatment of patients with breast cancer, not including perioperative adjuvant therapy, investigators noted. Once enrolled, patients will either received HPD (6 mg/kg of trastuzumab, 420 mg pertuzumab, and 60 mg/m2 of docetaxel) or T-DM1 at 3.6 mg/kg every 3 weeks. The planned sample size is 330 patients, with 312 required to complete the study. 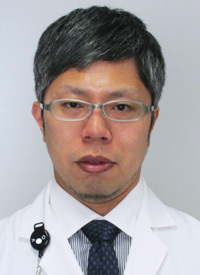 In an interview with OncLive, Shimomura, Department of Breast and Medical Oncology, Department of Experimental Therapeutics, National Cancer Center Hospital, Tokyo, Japan, discussed the rationale for this study of elderly patients with HER2-positive breast cancer. OncLive: Please give an overview of the HERB TEA study. Shimomura: This is a randomized phase III study comparing T-DM1 with combination therapy of HPD in elderly patients with advanced-stage HER2-positive breast cancer. This is a noninferiority study, and the sample size is 330. It is sponsored by the Japan Clinical Oncology Group, and 43 institutes in Japan contributed to this study. Elderly patients often have comorbidities. Some elderly patients are not fit to undergo toxic therapy, such as HPD. The aim of our study is to develop a less-toxic novel treatment for elderly patients with advanced HER2-positive breast cancer. How could the findings impact the HER2-positive breast cancer paradigm? There have been a few studies targeting elderly patients with breast cancer. Only 50% of patients over the age of 65 [with HER2-positive breast cancer] participated in the CLEOPATRA study. In the clinic, we feel that HPD is too toxic for elderly patients. It is unclear how to optimally treat elderly patients with advanced-stage HER2-positive breast cancer, so we planned this study. T-DM1 is less toxic than HPD. If this study meets its primary endpoint, we will have a new standard treatment with less toxicity for elderly patients with HER2-positive breast cancer. What should physicians know overall about this study? At this moment, standard therapy for HER2-positive advanced breast cancer is HPD, regardless of patient age. In the future, our study will establish a new, less toxic treatment for HER2-positive elderly patients. We hope that our study delivers good news for elderly patients with advanced HER2-positive breast cancer. In HER2-positive breast cancer, many agents are being developed. Standard treatment of HER2-positive breast cancer will change. Although our study focused on a smaller population, it is an unmet clinical need and the results are still important. This study has just started, so we hope to complete it and establish a less-toxic treatment for elderly patients with HER2-positive breast cancer. Shimomura A,Tamura K, Mizutani T, et al. A phase III study comparing trastuzumab emtansine with trastuzumab, pertuzumab, and docetaxel in elderly patients with advanced stage HER2-positive breast cancer (JCOG1607 HERB TEA study). Ann Oncol. 2018;29(8). doi: 10.1093/annonc/mdy272.349.